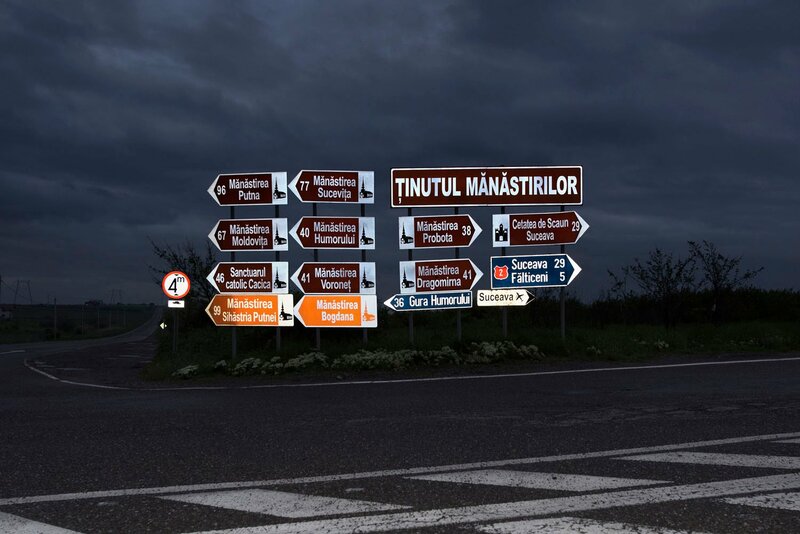 Antal Bánhegyesy is a Romanian-born Hungarian photographer who lives and works in Budapest. 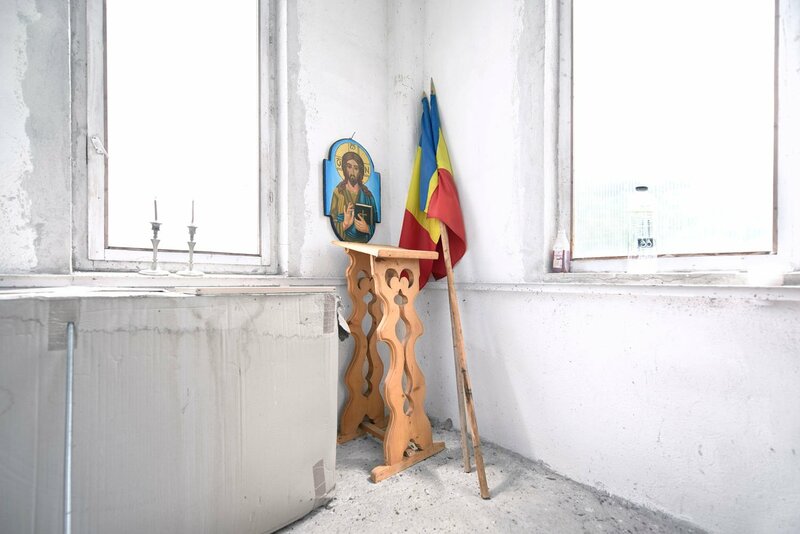 In his series Orthodoxia, Bánhegyesy explores the links between Orthodoxy and Romanian national identity, framed within the context of the ever-increasing reach of the church. 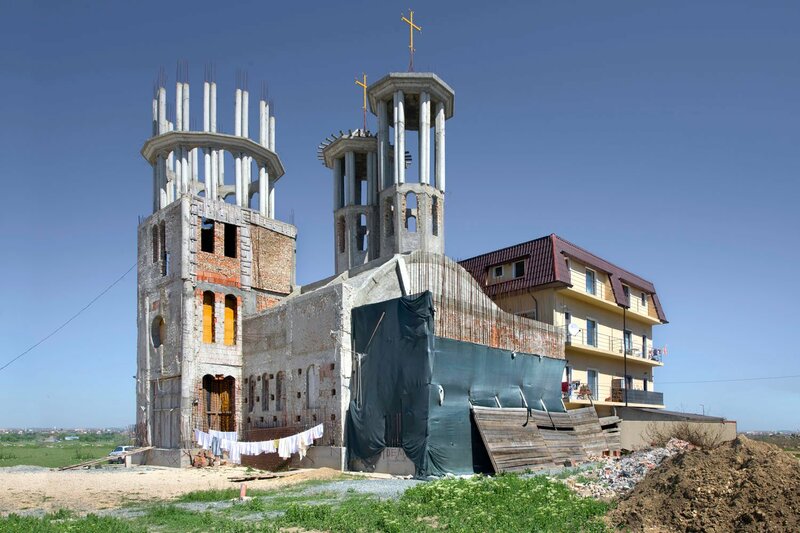 Following the fall of communism, more than 7,000 Orthodox churches were built in Romania, the equivalent of two churches consecrated every day for 27 years. 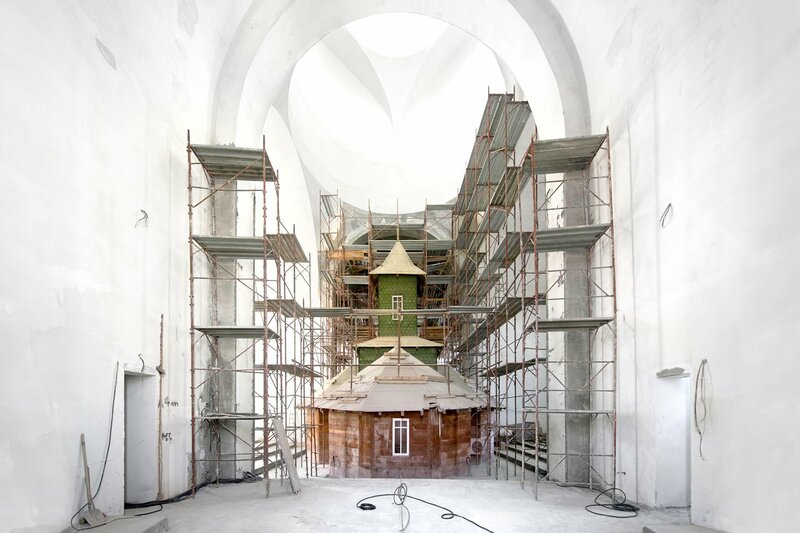 Today, the construction of Orthodox churches continues in a country with a strong connection between the church and the state. Directly! 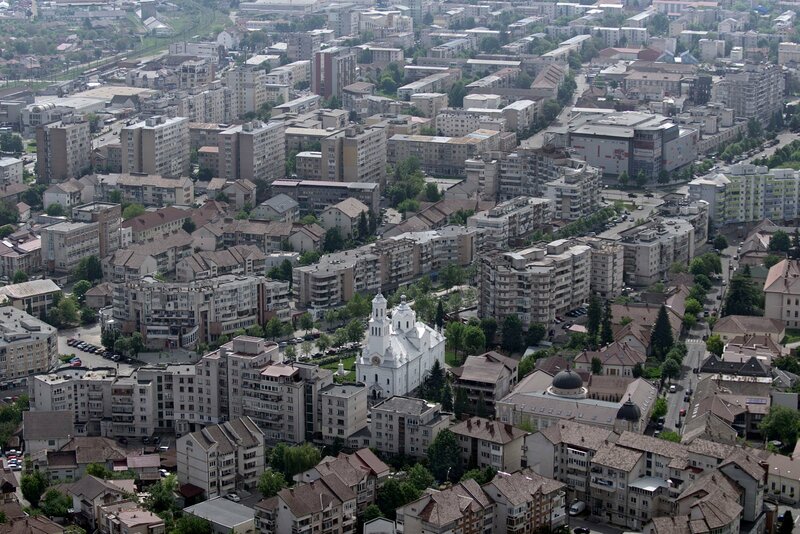 I was born in Cluj-Napoca, Romania, and lived there until 2014 before moving to Budapest, Hungary. 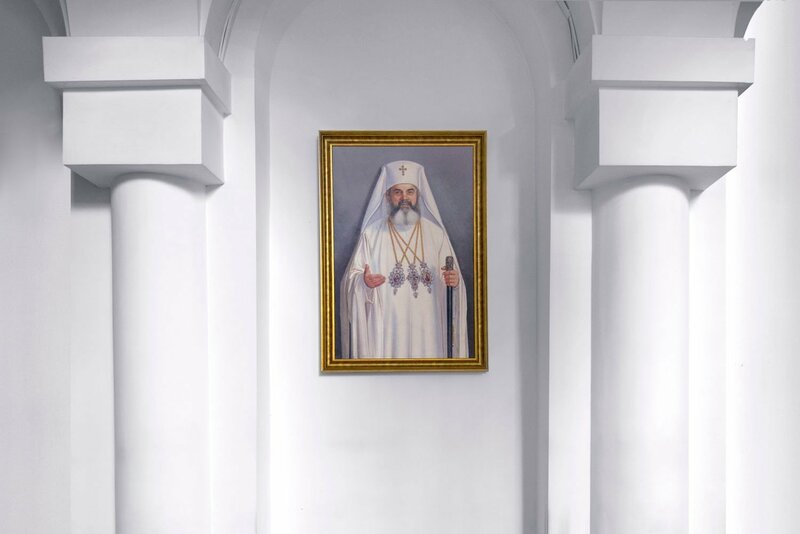 If you cross the city on Sunday afternoon, you’re bound to hear the sound of Orthodox liturgies wherever you go. As there are usually so many people in attendance, they can’t all fit into the churches, so the ceremony is broadcast to all using speakers (whether you want to hear it or not). 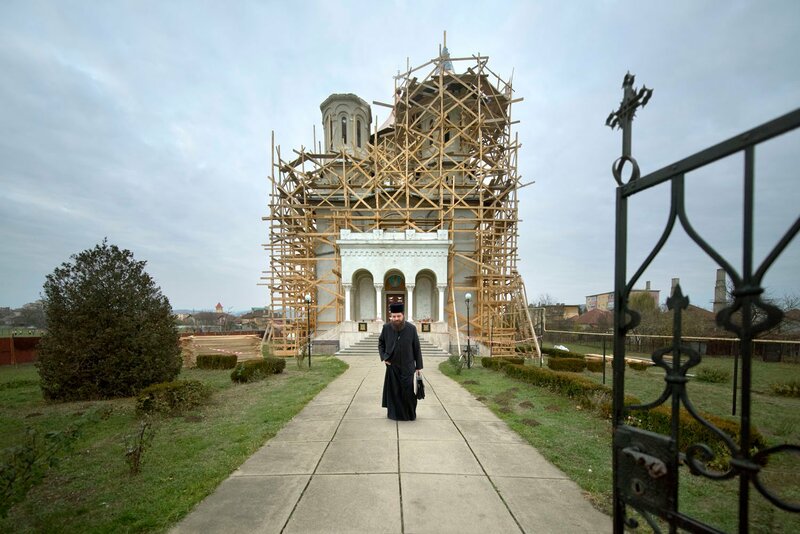 While I was studying, I noticed how many churches were being built year after year, and the increasing importance of the Orthodox church in the Romanian community. 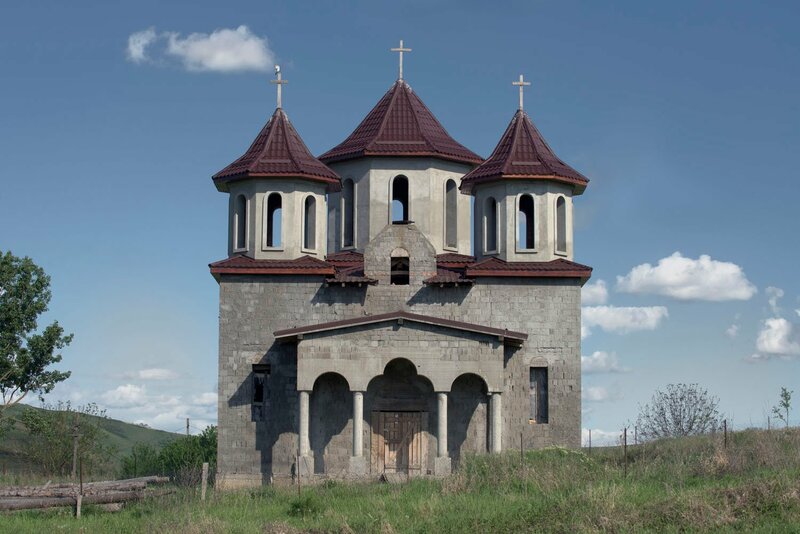 Later it became obvious that many of these new churches stand (almost) empty, and have gained a more symbolic role: to show the power of religion. They have played a significant role in spreading conservative values since the end of the communist era. Nationalism is the focus of my current work. 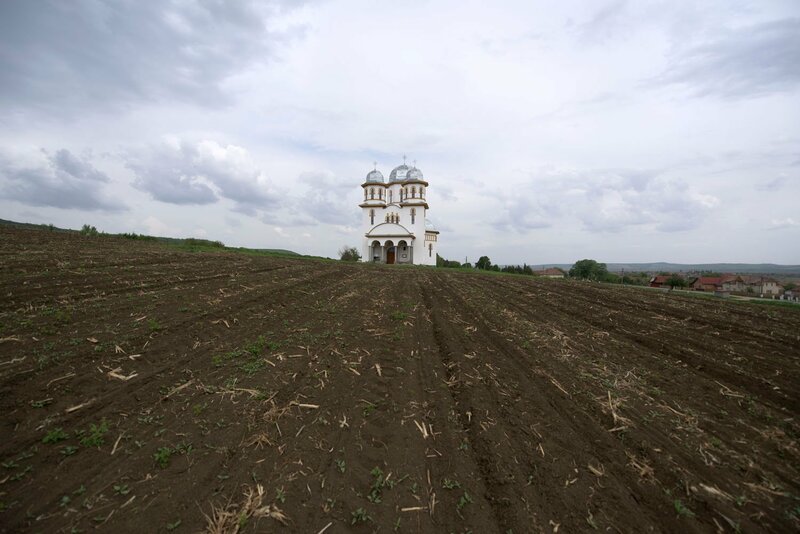 Transylvania, where I’m from, has one of the largest populations of ethnic Hungarians in Romania. 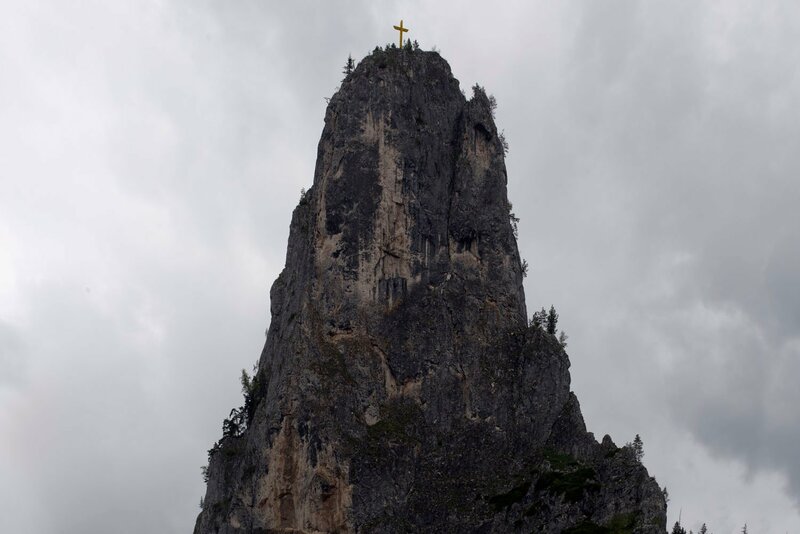 I was part of this minority and this has encouraged me to explore the sources of nationalism in my photographic work. 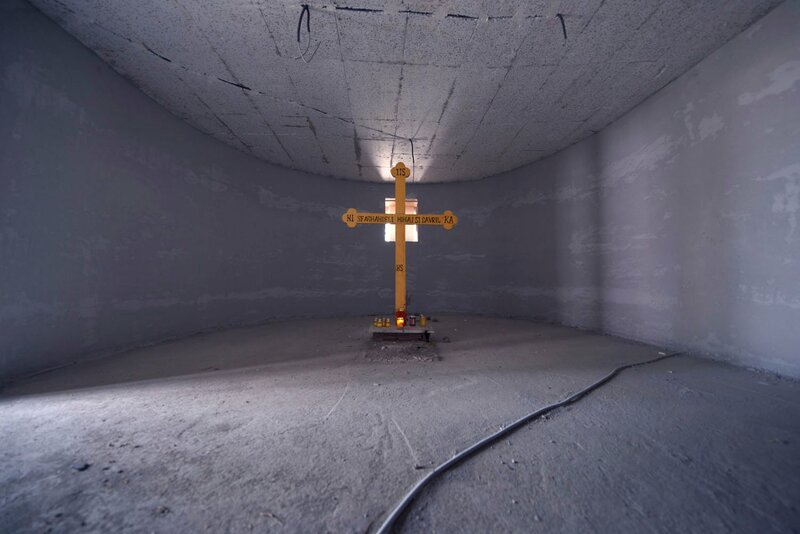 I’m drawn to social and political criticism, which is the main drive behind my projects Ceausescu, Orthodoxia, Tricolor, Exodium, I Was a Stranger and Bandi. In each case I focused on minority groups and investigated the ways they are repressed. 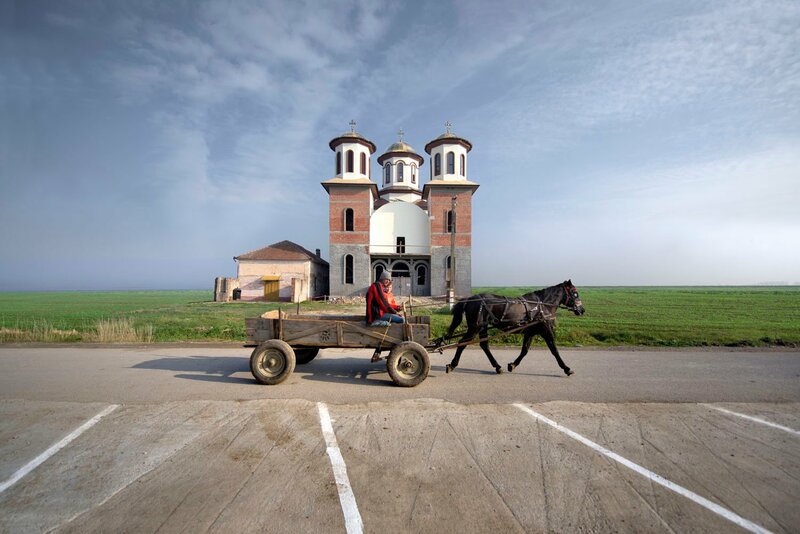 The phenomenon of the “church in the church” is central to this spectacular picture in my series Orthodoxia. 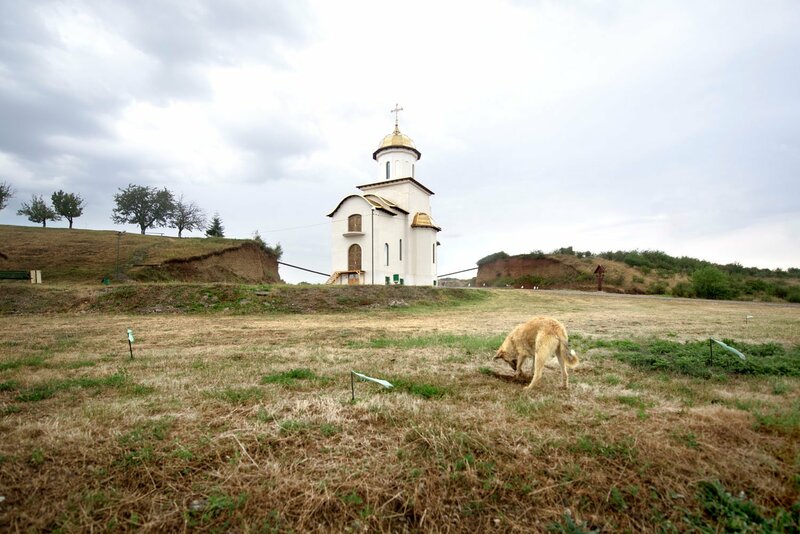 This smaller church is a Greek Catholic church built in the 18th century. 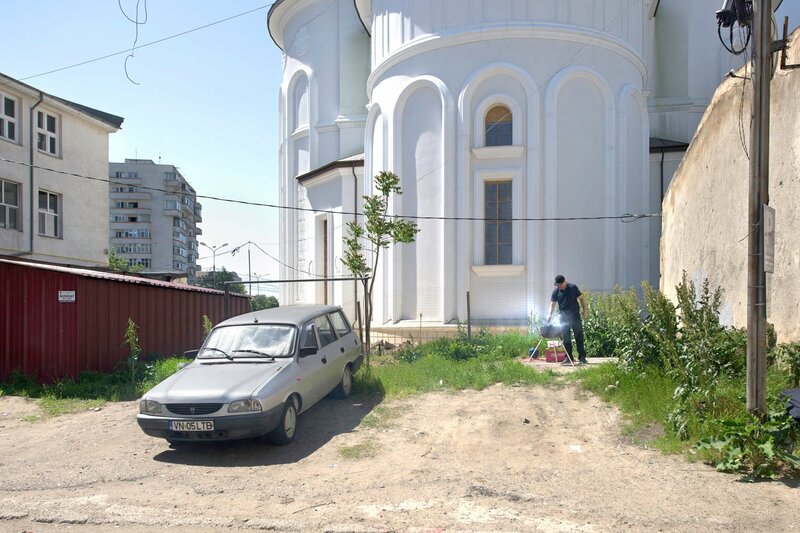 When the Orthodox church bought the land, the Greek Catholic church didn’t want to demolish their building, so the two were integrated. 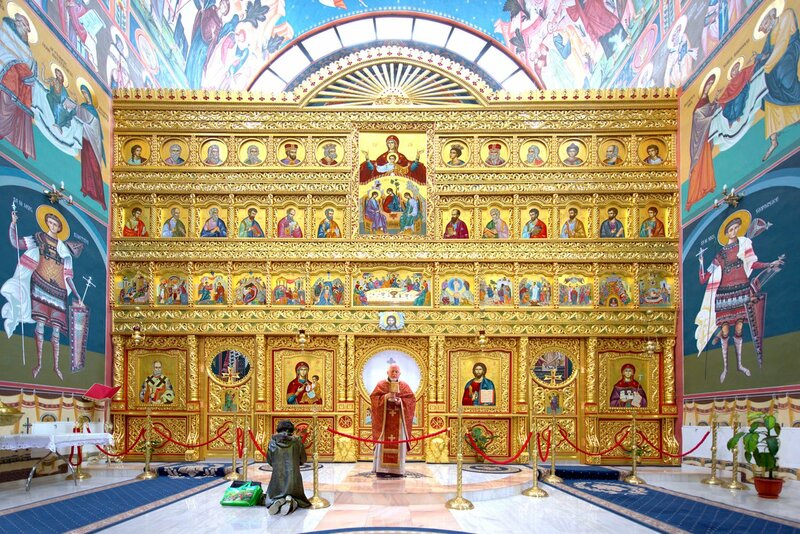 In my series this picture represents the dominance of the Orthodox church, which continues to spread without limit. The photo series I find most compelling are those taken over an extended time period. To go beyond the surface, you have to spend time with your topic; only then can you discover the mysteries and nuances of your subject matter. By investing time in your work, you have a better chance that the audience will also pay attention to it. When I’m really involved in my personal projects I am driven by passion. Finding my way and developing my artistic language is what keeps me motivated. Ideally I would choose a school where Andreas Gursky and Boris Mikhailov could teach together. But of course, this school doesn’t exist.